Putting it all on the table: Revealing my dirty little secret - Dahlia Kurtz | Host of "The Goods"
Fact: Most of my power comes from my hair. 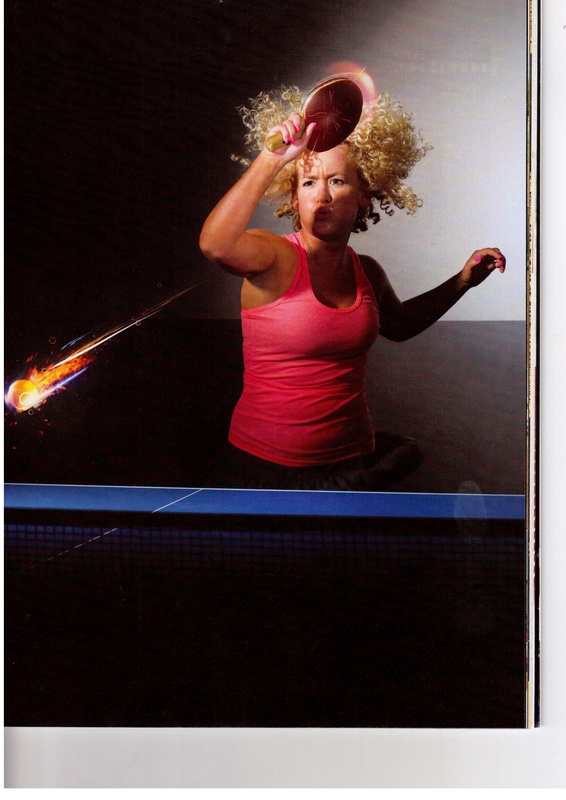 Dahlia, thank you so much for being our ping pong ambassador (CIBC, today at Spin). You are so fascinating, do you ever teach middle aged ladies how to play? I can sure see it would be great fun to learn how to play this marvellous game, esp from such a great gal like you! Linda (the older lady in wearing all blac, blonde hair, glasses). THANKS FOR PLAYING ME 2 MONTHS AGO. YES YOU BEAT ME 11-0. WHY AM I THANKING YOU. YOU ARE THE ONLY LADY THAT HAS EVER GIVEN ME A SPANKING AND IT DID NOT FEEL SO GOOD. SEE YOU AT SPIN TABLE TENNIS CLUB. I read the article and I must say the secret you mention is really amazing, and I think every person has its darker side, but know one have guts to share in public. The efforts all you put to teach new kids stuff which they might have learned after years of hard work is really recommendable. Squirt a dime-sized amount of styling mousse into your hand and rub it into your hair. Start at the roots and work it up, but avoid rubbing the mousse into your scalp. This could make the hair look greasy. Thanks.